Chaetodermis pencilligera (Cuvier 1816), the Prickly Leatherjacket. Indo-West Pacific. To twelve inches in length. A three inch specimen in an aquarium display. Oxymonacanthus longirostris (Bloch & Schneider 1801), the Harlequin Filefish or Orange Spotted Filefish in the aquarium interest. The most commonly offered member of the family... and rarely alive for more than a week in captivity. In the wild almost only eats Acropora polyps. A pair down in Wakatobi, S. Sulawesi, Indo. 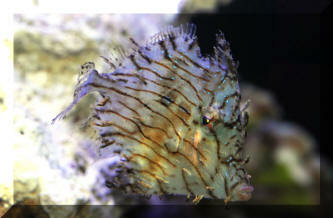 Paraluteres prionurus (Bleeker 1851), the Blacksaddled Filefish. Indo-Pacific, but not the Red Sea. To four inches in length. 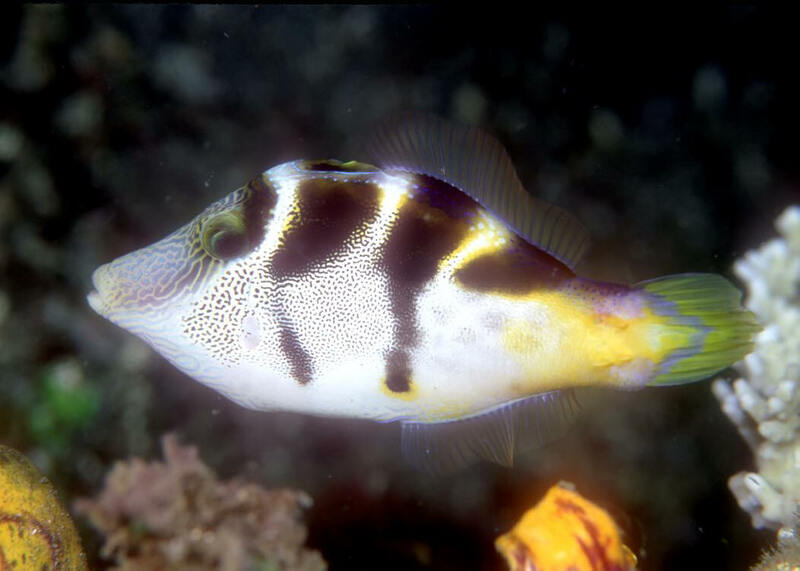 A mimic of the Sharpnose Puffer, Canthigaster valentini. Juvenile in Fiji. 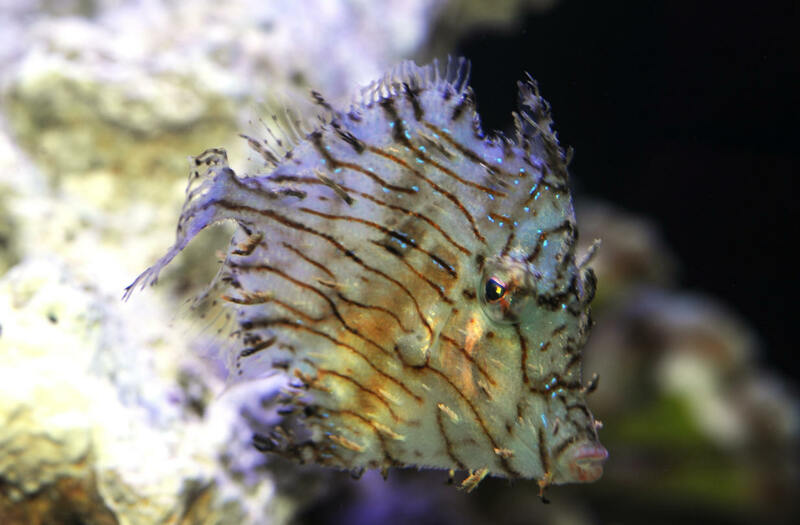 Paraluteres prionurus (Bleeker 1851), the Blacksaddled Filefish. Indo-Pacific, but not the Red Sea. To four inches in length. 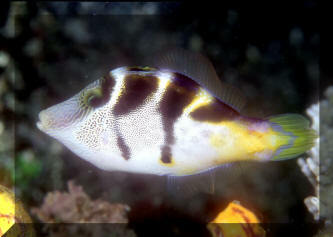 A mimic of the Sharpnose Puffer, Canthigaster valentini. An adult in N. Sulawesi, Indo.